What is a “good person”? People do feel like this, whether Hitler for Jews, or Simon Wiesenthal for the men he tracked. The Brighton Bomber now gives talks on forgiveness with the daughter of a man his bomb killed. Feelings are not bad. Only actions can be bad. We’ve all experienced this and I don’t think it makes anyone a bad person, I guess depending on the circumstance. And yes I believe this person is a human being that is having a natural reaction to the situation. I would say however, there will come a time where we need to let it go so it doesn’t ruin one’s own health and well-being. 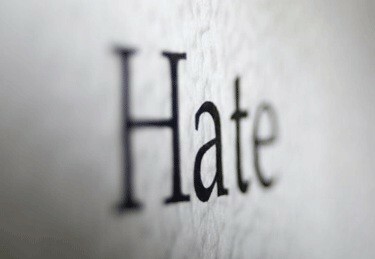 Sadly, I was once a victim of a hateful person. I assume this person was a fan of Grant Wilson who used to be on Ghost Hunters before he left to spend more time with his family because she apparently had no idea who Julian Lennon is. I blocked her from facebook and twitter and black listed her comments from my blogs. I was also forced to leave live journal and fan pop because she posted hateful, hurtful and negative comments about me. I chose to delete my blog for Grant and I am no longer a fan of his. I no longer follow him either. Nicely written and I feel this comes from your heart.